100 FOREIGN ARTISTS FOR VADIVELU-SHANKAR AND TEAM! 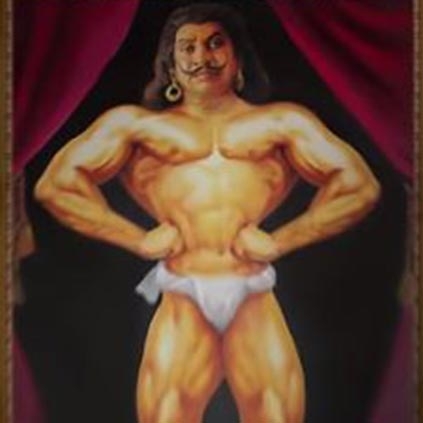 The first look motion poster of Imsai Arasan 24am Pulikecei was released a few days back. It stars Vadivelu in 3 avatars. IA24P is produced by Shankar's S Pictures in association with Lyca Productions. The shooting of the film kickstarted very recently and apparently, one of the songs have already been shot and the team will be canning the 2nd song from Thursday. This 2nd song shoot is going to be extra special has it would involve as much as 100 artists from abroad including 30 foreign dancers. When Lyca and Shankar are involved in a project, you could imagine how grand the song is going to be. Vijay Sethupathi does it for Udhayanidhi! This recent sensational heroine onboard for Karthick Naren's Naragasooran! Will another Naalaya Iyakkunar hit Gold? Mersal Arasan Lyric Video is here! Rajamouli is all praise for this recently released film! Vadivelu's Pulikesi 2 To Start Rolling From The 1st Week Of August. People looking for online information on Imsai Arasan 24am Pulikecei, Vadivelu will find this news story useful.